Follow the child, don’t force them to follow you. A Montessori education is founded on each student’s uniqueness, a key ingredient that inspires children to be their own best advocates, motivators, and teachers in the classroom. This is especially true for our youngest special needs students, many of whom don’t adhere to the prescriptive rules, norms, and codes that society has already defined as “normal”. These students are often diagnosed with dyslexia, ADHD, or autism on a scale from severe autism to Asperger’s, and have exhausted all other efforts to “fit in” at school. 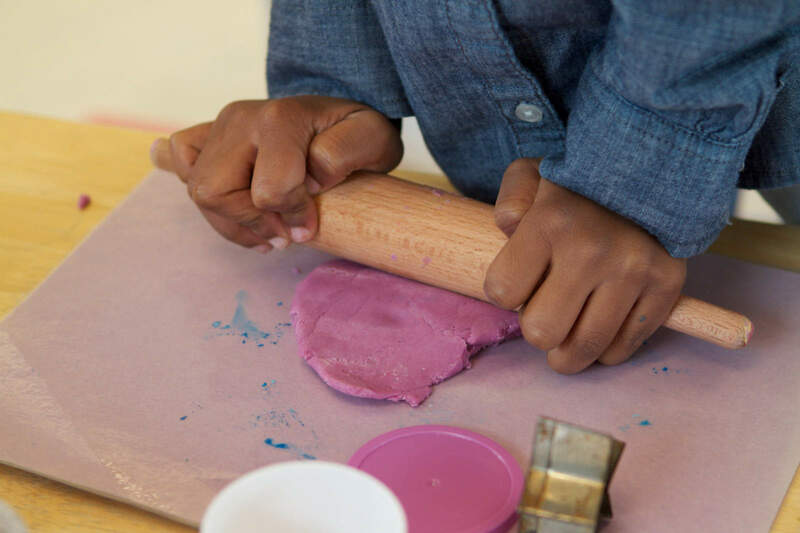 The Montessori method, which is traditionally student-focused rather than teacher-focused, is often the answer for many children who feel excluded in traditional classrooms where rigid schedules, hours sitting at a desk, or lesson plans are the only teaching method. For special needs students and families who feel pressured to fit “into the box” of traditional curriculums, Montessori school provides an alternative approach that lets them lead their education, rather than being led to it. In a Montessori classroom, you won’t find a “box”. Children don’t have to conform. Instead, they can be who they are without fear of standing out or being excluded, simply for thinking, feeling, or seeing the world differently. How are special needs students identified in Montessori? Because most of our children come to Chesapeake Montessori School at an early age, often 2-3 years old, our teachers are the first adults to spot any red flags or symptoms of special needs. For instance, if a student is having trouble paying attention, socializing with peers, or is unable to grasp concepts in their work, we’ll bring it to their parent’s attention and recommend they keep an eye out for the same types of behavior at home. Sometimes we’ll ask teachers from other classrooms to observe the child and let us know if they spot the same behaviors, since an outsider’s perspective on the classroom can be the confirmation a student’s teacher needs. 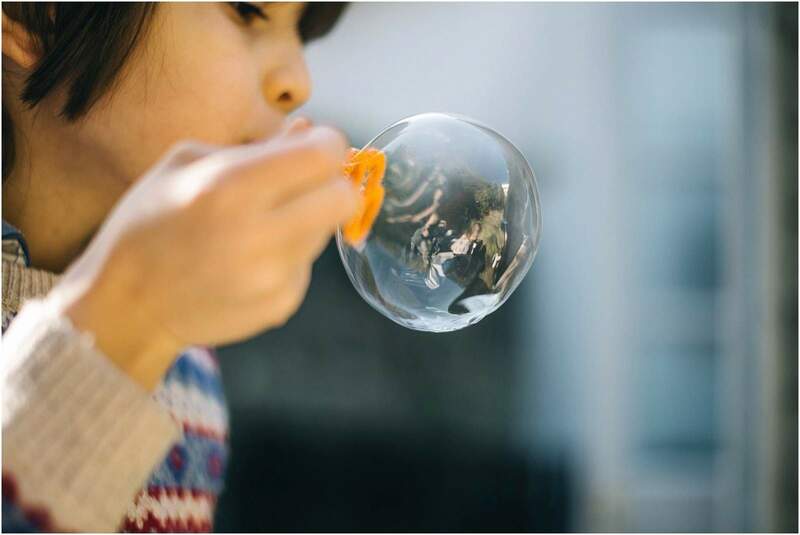 If the same issues persist, we’ll encourage the parent to seek advice from a pediatrician or obtain an evaluation. What can parents and teachers do to confirm special needs support? From here, parents of children over 3 years of age have two choices: conduct a private evaluation out of pocket, or work with the public school district, which is federally required to address the concern of a child, even if they attend school in a private setting. 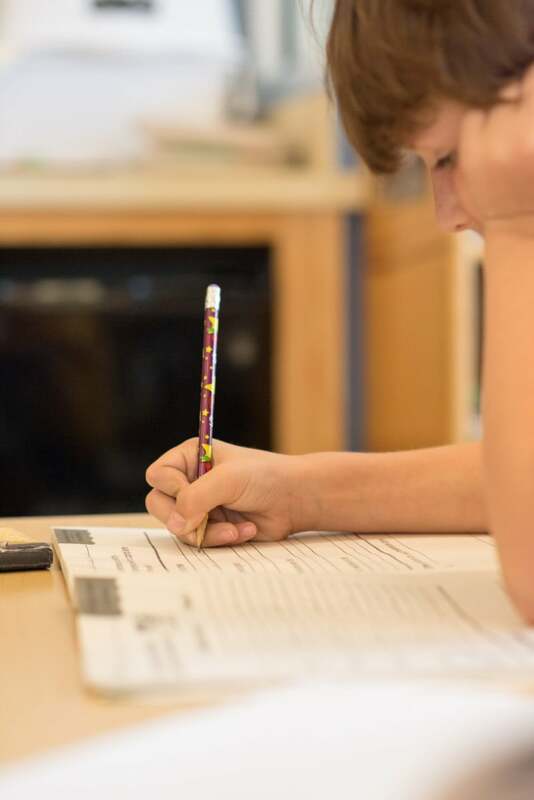 Following an evaluation, students that are found eligible for special needs services will receive an individualized education plan (IEP), or accommodations (504), which signals their teachers that they require an alternative learning style inside and outside of the classroom. Special needs in the Montessori classroom means finding our way into the child’s world, rather than requiring them to find their way into ours. How does Montessori individualize each child’s learning experience? Montessori schools, like the special needs students they educate, are different by design. In our classrooms, individualized education plans aren’t out of the norm. In fact, every student has an individualized education plan completely custom to their age, personality, and learning preferences. For this reason, special needs students in Montessori settings aren’t left to struggle in the margins; they’re just as embraced and accepted for their individuality just like the rest of the class, and their education is tailored to their needs rather than the expectations of the school. From an early age, we help students see themselves as different – not excluded – which helps them form a confident identity that sets the tone for their entire educational journey. Why do some special needs students flourish in Montessori classrooms? Instead of struggling silently, some special needs students tend to flourish in Montessori classrooms which are multi-sensory by design. At age 3, for example, we begin refining the senses to teach letters through sounds, so students can begin learning auditory discrimination between “buh” and “duh” sounds. 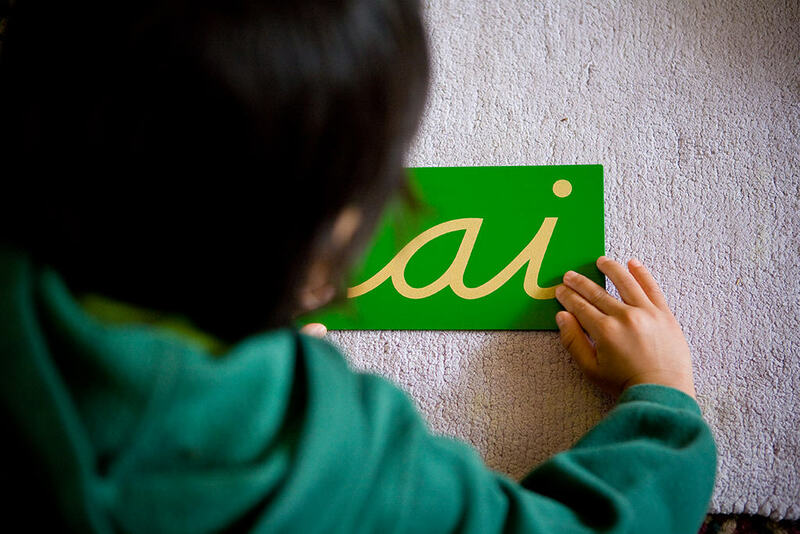 We take learning letters one step further, by helping students trace sandpaper letters to gain muscle memory about what the letter looks like on paper. Instead of simply seeing the letter on the board or in a book, they feel it and hear it, inviting all the senses to support the child, rather than a single sense they might struggle with. By engaging the senses in the student’s work, we have prepared the eyes to see, the ears to hear, the nose to smell, the tongue to taste, and the hands to feel. Montessori invites the mind and body to learn by muscle memory, rather than simply memory alone. How do families stay informed of their child’s evolving needs and progress? Families of students with special needs are always aware of how their child is doing in school, thanks to the intimate setting our schools provide. At Chesapeake Montessori School, we start communicating before school even starts with a letter, an email, and sometimes a home visit. We build community early on, through our parent association that hosts social events, meet and greets, and Back to School nights where teachers and parents are in constant contact with each other about the student’s behavior, progress, and preferences for learning. Even on a weekly basis, families of special needs students can expect a weekly newsletter with recaps of what their child learned. For children that require more formalized communication, our teachers set up a logbook that travels between home and school with the child, allowing both parent and teacher to discuss daily events, specific challenges, or academic progress. Is my special needs child the right fit for Chesapeake Montessori School? If your child requires special needs and you’re not sure if our school is the right fit, we’d love to talk to you. From our first conversation on, we’ll ask if your child has any medical, physical, or mental needs that we should be aware of – but these are never used to determine whether or not your child can succeed in our classrooms. In some cases, after we talk to you and your family, we’ll both come to the conclusion that Montessori may not be for your child. A smaller classroom, less stimulation, or more physical support may be a few of the reasons why a different school might be a better fit. Just as each child is different, so is each scenario. A family visit can help children experience a day in the life of a classroom, where we can observe their capacity for respect, their attitude, and their willingness to learn. These factors, above all others, are the defining traits that tell us students are ready to learn and that we’re ready to learn from them. Curious if Chesapeake Montessori School is right for your family? We’d love for you to come visit!